I got these succulents for my birthday from a friend and since December they have been doing very well. But recently they have started to not look as good. For example the leaves are falling off and the ones that are on look kind of dead. 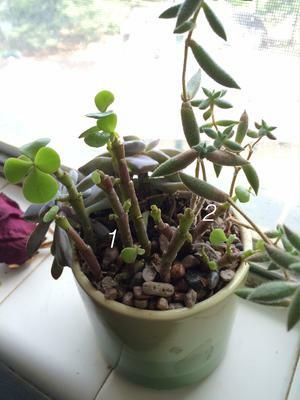 I was trying to look up how to try and fix this but i could not find pictures that looked like my plants so i do not know how to properly care for them. please help! 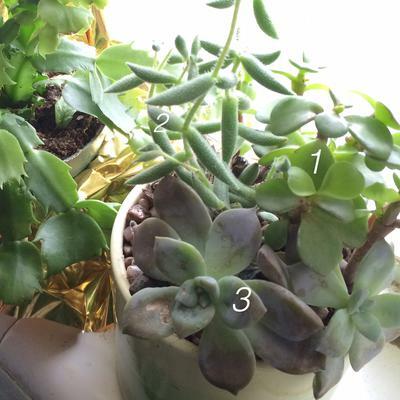 Typically, succulents really struggle over the winter in northern climates. I'm going to assume that you're in either North America or Europe, because you haven't said. This is the deal; these plants have evolved around the equator. It's called the equator because all through the year, the day and night length is equal (see where I'm going with this?). In our northern climate, we get really long days in summer, and long nights in winter, just because of the way the earth wobbles. This is a problem when we try and grow plants that have evolved in warm dry climates, with equal day and night. Solution? Get a grow light, so they can get equal (or close to it) day and night, 12 hours each. Other than that, stop or slow their watering schedule in winter, so they don't get waterlogged, as they don't have enough hours in the day to use it. This will stop them from getting like yours, which will perk up when summer arrives and they can be put outside in a brightly lit but shaded from full sun patio or deck. 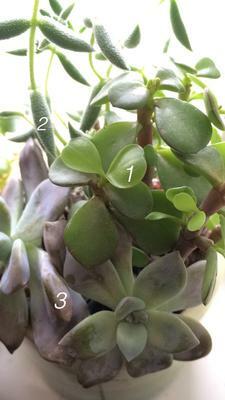 Then, follow the instructions in the Winterizing Succulents E-Course so this doesn't happen again.